ALITEC is a dedicated IT solution provider base in Singapore and China. 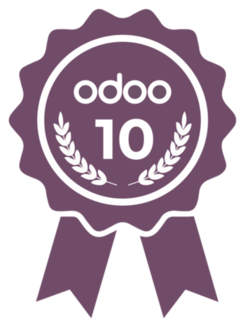 As an official partner of Odoo, We help organisations to improve and adapt their key business processes by using advanced Information Technology. Alitec is working with talented team while delivering high-quality business application to the customer. The focus of our company is to deal with and overcome various business challenges through exact internal activities, research and solutions. We are providing an unique strong-willed benefit, we offer advanced services through effective solutions, best business practices and cutting-edge technologies. Our Company is supported by experts with deep industrial knowledge and experience in various business lines. Our Vision: ALITEC aspires to become one of leading creative ERP solution provider in Singapore and Asia-pacific market. Our Mission: ALITEC strives to create and develop highly effective Online Management Systems (OMS) for enterprises to save time & cost to boost productivity to increase customer satisfaction and enhence competitiveness. Our Core Value: Enjoy limited life through creating unlimited values for the world.